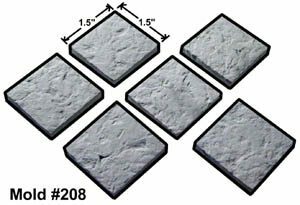 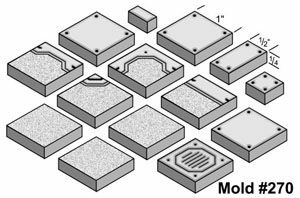 These accessories fit with the 1 1/2″ flagstone tiles. 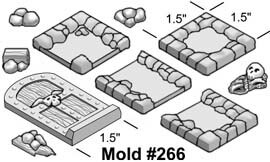 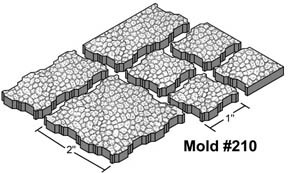 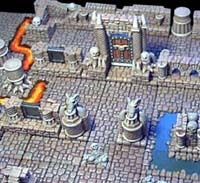 This mold includes 4 water tiles, a large door and 5 pieces of rubble. 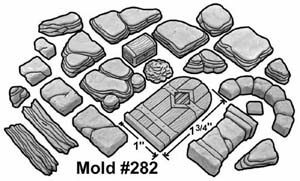 These pieces are the perfect size for making MageKnight dungeons.